Award winning author Barbara Ann Mojica is a historian and retired educator living in New York State. She holds a Bachelor's and Master's Degree in History. Barbara spent more than 40 years teaching in NYC and holds New York State teacher certifications in Elementary, Special Education, and Administration. She also spent several years as a Special Education Administrator and principal of a special education preschool for developmentally delayed children. Barbara, although retired from teaching, is staying busy: along with her series of Little Miss History travel books she writes historical pieces for The Columbia Insider, Pat Fisher and Ed Pollack Editors, under the banner “Passages”. Marrying her love of history and teaching, Barbara hopes her Little Miss History character will inspire children to learn about historical people, and visit landmarks such as the one covered in this book, SEQUOIA National Park. 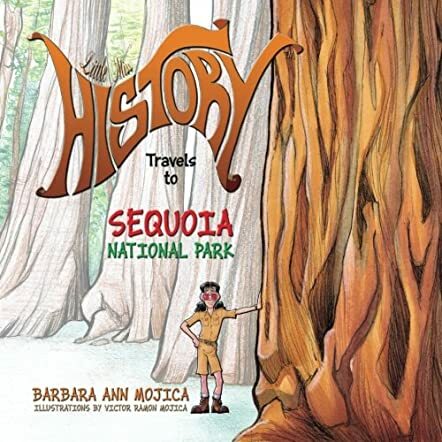 Little Miss History Travels to Sequoia National Park by Barbara Ann Mojica is an informative and interesting travel adventure story which will take readers along with Little Miss History to the Sequoia National Park. The book will show us the beauty of the Sequoia National Park and tell readers more about sequoia trees and how to differentiate between a redwood tree and a sequoia tree. Interesting facts are laid out in a manner that is understandable for kids and it is a great educational trip for young readers. Miss History's travel is highly exciting and she teaches children so many interesting facts through this story. The book is educational and reads in a catchy way. The illustrations give movement and life to the book and explain the concept and educational value of the place clearly to children. It is an excellent reference book for children to know more about National Parks and sequoia trees. 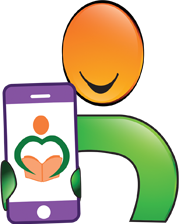 The book is highly useful for teachers, parents, and educators to use in classrooms and homes. The author has covered diverse topics associated with the Sequoia National Park - the history that dates back to the Native Americans, trees, the Gold Rush, the different species of wild animals found there, air pollution, and the creation of the National Park. The book makes history lessons interesting for students and makes them more curious to learn about history and National Parks. It is indeed a delightful trip for any reader! What can I say that has not been said before? Marvelous illustrations and a neat way to keep learning interesting for kids. Who has not been bored by school lessons. This book series will hold the children's interest and surely visual learning stays with you much longer. Keep it going Barbara! The Historian Barbara Ann Mojica in her book "Little Miss History Travel to SEQUOIA National Park"
and other interesting fun facts about the Sequoia tree. The book has very colorful and big pictures. 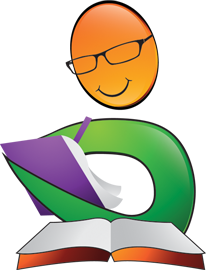 The book is well-written and all ages including teachers can enjoy reading. Highly recommended the book to everyone! Barbara Mojica's story of the Sequoia National Park is informative yet simple all at the same time. The illustrations are colorful and are very helpful in telling the story. The book is delightful way for children to read a history lesson and not even realize it. It makes you want to turn the page and see what happens next. This factual book reads like a story. After reading the same bedtime stories night after night, Little Miss History has breathed new life into bedtime. In the third book of Little Miss History's travels (Statue of Liberty, Mount Rushmore) she is now visiting Sequoia National Park. I like how this book provides interesting facts and information in a fun and playful way that holds my preschoolers attention. The illustrations are beautiful and help to make learning non-fiction fun. This would be a great book for a school report or even to be read to the class at story time, it's so versatile. My kids love Little Miss History and I love the lessons she teaches my girls (and me). This is a must add book for your child's book shelf. This book is full of interesting fun facts and it's laid out in a way that's fun for kids to learn. I have been to the Muir Woods where the redwood trees are and I do not remember learning all of the fun facts about the scale of their size vs the sequoia trees or compared to our height as people. I did not know there was a difference between a sequoia and a redwood tree until reading this book! The book manages to hold a lot of relevant information on the background and context of the park while adding some twists such as the how much wood can grow in a sequoia during a single year. The photos of things like the tree tunnel and drawings of the white water made it feel like a national park experience. I know my kids will enjoy this book for years to come. It's a good size and quality illustrations. Little Miss HISTORY Travel to SEQUOIA National Park is a fun and factual story. Little Miss History is a major tomboy with red glasses and black pigtails. She travels the world and describes ALL the fun and excitement to be had at historical/natural sites. This is a fantastic series for preschool and middle grade kids who are interested in travel and knowledge of historical sites. Great Illustrations by Mojica's husband and highly recommended for all kids. I enjoyed reading this book. It's colorful and only 34 pages. I'm sure it will give your kids plenty of excitement as Little Miss HISTORY travels the globe. What a great series of books to get children interested in history ... and such a fun way to learn history!! This book starts with a bang ... and is packed full of historical facts about Sequoia National Park told in a way that will entice children to become curious about finding out more. I know I am! The illustrations are fabulous! Right from the beginning, the book drew me in with "Little Miss History," as the guide. She's a strong (and fun) guide and spokesperson. I can see these books being presented as an animated TV series, possibly on the History Channel, or similar channel! I can't wait to read the next book in the series, which is cleverly introduced to readers on the last page of the book. Barbara Ann Mojica’s book is an absolute delight, enhanced by the terrific illustrations by Victor Ramon Mojica. From the wonderful, rhyming introduction, through to the prelude to her next book, the young reader is treated to a veritable treasure trove of facts that are gleaned from an exciting visit to the Sequoia National Park. No stone is left unturned. The trees and the wonderful things they make. The history dating back to the Native Americans, through the Gold Rush, to the raising of sheep and cattle and the creation of the National Park. The present day park is given as much coverage as its history, and the beautiful pictures bring it alive. The General Sherman Tree Trail, the Kaweah River, the waterfall of Tokopah Canyon, and Moro Rock. And wildlife is not skimped either. Black bears, brown, cinnamon and blonde bears, mountain lions and bighorn sheep are all included. This educational book does not gloss over the harsh realities of the Park, such as air pollution, and even invites the readers to put their thinking caps on and come up with solutions. I have tutored children in the UK for many years and am fully aware that it is always imperative to hold the child’s attention by providing interesting stimuli around the subject. Barbara Ann Mojica delivers on all fronts with this great little book. Author, Mojica, has done it again, folks! "Little Miss History Travels to Sequoia National Park" only adds substance to the additional volumes Mojica has so wonderfully crafted. Stopping by the Yellow Stone Park, and learning about sequoia trees and the many great ways they've impacted our lives kept me wanting to learn more. For example, did you know that the grain in sequoia wood creates beautiful furniture? I didn't realize that, but I know now. Moving into Tokopah Falls and the Kaweah River was fascinating, but learning about the men who were instrumental in some of these events was quite intriguing, too. I also enjoyed learning about the differing species found in this park. Learning about the pollution is a very important source to note as well. From reading, we can learn things never thought of. Even though some children may not ever visit this park, at least they can talk about it and share their knowledge. Who knows, some day they may visit or know someone who intends to visit. They can warn them of the pollution problem, right? In addition, I love the question Mojica posed at the end of the story -- "Can you think of some way to solve this problem." There is so much for students to learn, and do with this story including problem solving, comprehension, and inferencing. Children all over will gain much knowledge from the historical lessons gained within the contents of this book. In fact, I learned a few things myself. The rich colors/illustrations adds flavor to the text. What a fun way for students to learn history lessons! Barbara Ann Mojica has created another delightful picture book on an historic American site. Little Miss History takes us on a tour of Sequoia Natural Park. She teaches the reader the difference between redwood and sequoia trees. The author chooses the most interesting facts and uses her illustrations to clarify the information even further. The lifecycle of these trees is truly astonishing. Readers will be intrigued and amazed. Although the measurements of the trees sound phenomenal, it is the pictures that strike home their immensity. Mojica's illustrations are a clever merging of photographs with pencil crayon and marker drawings. She also utilizes humor to reinforce facts, such as using headstones to illustrate the lifespan of redwood and sequoia trees. Mojica explains the history of the park and its importance. Her portraits of historical figures are remarkable. She ends the book on a somber note. Sequoia Natural Park is suffering from extreme air pollution. The author asks the reader what can be done about this. This picture book would be a perfect jumping off point for environmental discussions. I highly recommend this book, and the entire series, for those wishing to learn about fascinating historical American sites. This time Little Miss History takes us on a field trip to Sequoia National Park and explains everything young minds would want to know about the trees and the park. Stunning illustrations mixed with photography complete another stellar lesson about one of our nation's greatest natural treasures. Buckle up and enjoy your trip to Sequoia National Park! Another delightful read from Barbara Ann and Victor Ramon Mojica! Little Miss History Travels to Sequoia National Park is the third children’s book in the “Little Miss History” series. I must admit I am hooked on “Little Miss History” stories. Don’t even start me on the amazing artwork that charms readers from the first page. I’ve read the two first books (Little Miss History Travels to Mount Rushmore and Little Miss History Travels to the Statue of Liberty), and they are fantastic! These books are fun to read, very educational, and full of useful information for any age. In addition, they are beautifully illustrated. While traveling with upbeat Little Miss History, young readers will learn about the history of American landmarks in a very creative manner. I promise you, your children will fly through these wonderful stories! These three books provide a great deal of knowledge and information on history while capturing young minds and imaginations. Little Miss History Travels to Sequoia National Park is filled with facts about the history of Sequoia National Park, specifics about the people who contribute and help preserve this beautiful piece of land, and the sad reality about the current condition of this captivating landmark. The story reads smoothly and easily. It feels as if you are gliding through a thousand years of history. It also provides details about the sequoia and redwood trees, and teaches children to respect and preserve these majestic living beings. There is no one who won’t be amazed by the beautiful artwork, created by Mr. Mojica. The illustrations are sweet, charming, and very believable. Reading this book, I felt as if I was flying in the sky, riding on a horse, and walking under the thousand-year-old trees, while observing the history of the Sequoia National Park. A charismatic and very captivating children's book! It not only provides a history lesson in a very modern way, but it also teaches care of nature. I absolutely adore Little Miss History, with whom I’ve already developed a special bond. I cannot wait to see where she will take me next. The “Little Miss History” series is number 1 on my list when my grandsons will be old enough to read these books. My recommendation to parents, grandparents, teachers, and librarians: chose these books! You have nothing to lose and so much to gain. 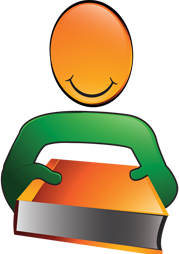 They are fun to read, great for children, and full of historical facts and educational lessons. I read them just for extra knowledge! It is never too late to learn! Crafted by a very talented team, Mr. and Mrs. Mojica, these books have so much to offer. Give your child a gift—knowledge. This is my second book from author Barbara Ann Mojica. As an educator I can honestly say this book is a ‘Super Package’ with endless teaching possibilities. Here Little Miss History, the cute and witty guide leads us to Sequoia National Park where we are shown vivid, colorful illustrations on the sequoias and the park. Clear interesting facts are given on each page. I learned many things I never knew. Who knew some of the trees were named after presidents and generals? This is the best way to teach children about history, geography and our landmarks. It is a great asset for the classroom teacher as an enrichment tool. I highly recommend Little Miss History Books to any parent or educator. Travels continue for Barbara Ann Mojica's Miss History. In the third installment of her delightfully entertaining and educational series, "Little Miss HISTORY Travels to Sequoia National Park." Mrs. Mojica's heroine, the erudite Miss HISTORY, takes the reader on an expedition to the breathtaking Sequoia National Park, as she eloquently divulges fascinating facts about the park's history, about the people instrumental in making this park a reality, and about the fascinating characteristics of the awesome sequoia trees. Victor Ramon Mojica's gorgeous illustrations add a joyous dimension to this lovely masterpiece. "Little Miss HISTORY" is sure to charm your curious child. Indeed, I highly recommend adding this fantastic book to your child's library. And if you have not yet purchased the first two chapters in Miss HISTORY's itinerary, do so now. The first two installments of this lovely series are Little Miss HISTORY Travels to Mount Rushmore and Little Miss HISTORY Travels to The Statue of Liberty. Purchased this for my children after being drawn in by the illustrations, and they all loved it (even my youngest one). Little Miss History gets kids excited about traveling to different places across the country. It is tough to find a factual history book that kids will sit and listen to. This one proved to be just that (and even mommy learned several new facts). Highly recommend for kids from preschool on up to high school. 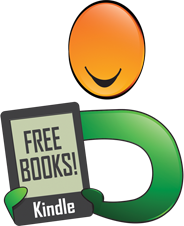 5 Stars, you will not be sorry you purchased this book!